It’s Halloween and five monsters are brewing a savory Halloween stew. 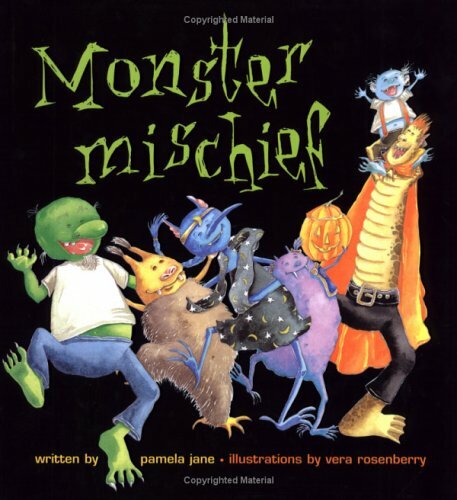 Each monster adds something special to the mixture-a juicy frog, a bat, a hairy spider. 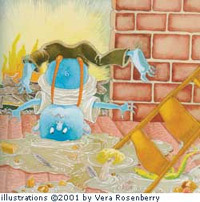 But when the littlest monster gets too curious and tips over the pot, the stew runs away! Little Moe is inconsolable (and very hungry) until a knock on the door brings an unexpected guest -and a big Halloween surprise.